StalKermit wrote: Radiant. Never GTK. ...? Radiant uses the Gtk toolkit. I think he was expressing his disdain for that. True, but I consider having good tools a high priority as that can save time in the future. Viech wrote: If you want to port an editor to our engine I'd propose you fork an idTech4 one, not idTech1. Why? We'd gain nothing from forking an idTech4 editor, as they all use the same-old, same-old means of editing brushes (afaik; please correct me if I'm wrong). The entire reason for forking TrenchBroom would be to gain its unique user interface, specifically the means by which it allows you to edit brushes. Also, it would appear to be more portable than Radiant et al. : I haven't actually looked at the code or seen it written anywhere, but I would guess that it does not use Gtk, which is not so fun to get set up on non-open-source Unix operating systems (namely, Mac and Windows). I'd guess its using wxWidgets as the interface looks more or less native in every screenshot, and wxWidgets is built on top of native GUI toolkits. I'm the developer of TrenchBroom. I don't know what Tech Unvanquished uses, but if it idTech 3 or some derivative, I would like to let you know that support for Quake 2 and Quake 3 are on my todo list, so we could cooperate on that. Otherwise, if you want to fork TB and adapt it for your engine, I'd be ready to answer questions, as the source is not very well documented. velociostrich wrote: I haven't actually looked at the code or seen it written anywhere, but I would guess that it does not use Gtk, which is not so fun to get set up on non-open-source Unix operating systems (namely, Mac and Windows). I'd guess its using wxWidgets as the interface looks more or less native in every screenshot, and wxWidgets is built on top of native GUI toolkits. You are correct - TrenchBroom is built on top of wxWidgets 2.9.4. I thought this would be the best fit for my needs, and so far, I have not been disappointed. In any case, if you fork the editor and run into trouble, get in touch with me and I'll do my best to help out. 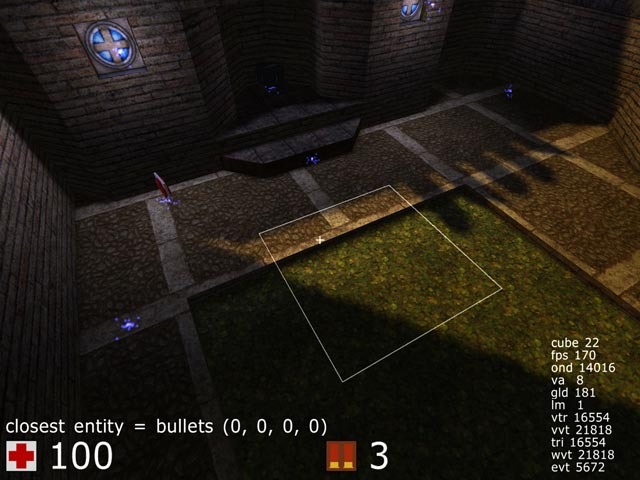 Unvanquish uses a mix of ioQuake3, Xreal and the open-source Wolf:ET engine, so adding q3 maps support and options for real time lights and shader based textures would probably be sufficient. Oh hey, cool, nice to see you here SleepwalkR. Some sort of collaboration on adding Quake 3 support would be nice. Try bringing it up with Ishq, he's the one heading programming. We've inherited from ET:XreaL, which is a derivative of XreaL (which is a derivative of ioQuake3, which is a derivative of Quake 3 (as you're well aware)) and Wolf:ET (which is also a derivative of Quake 3), with bits from other Q3 derivatives glued into place as well as lots of our own stuff. SleepwalkR wrote: Otherwise, if you want to fork TB and adapt it for your engine, I'd be ready to answer questions, as the source is not very well documented. it reminds me of Sauerbraten (editing is done in game).